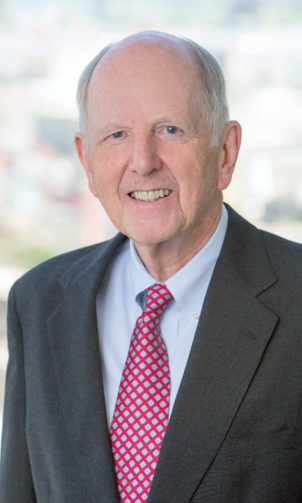 Mr. Banta was born in Peoria, Illinois, and graduated from Northwestern University in 1965 and from the George Washington University School of Law in 1968. While attending law school in Washington, D.C., Mr. Banta served on the editorial board of the Law Review and clerked at the Division of the Administrative Law Judges of the National Labor Relations Board. He is the author of books on two of the most pressing problems in the employment arena: Aids in the Workplace: Legal Questions and Practical Answers and Complete Handbook for Combating Substance Abuse in the Workplace. Mr. Banta’s practice has spanned the field of labor and employment law, representing clients throughout the country. He has had particular extensive experience in matters relating to advising executives concerning organizational development, appropriate levels of pay and benefits, administration of personnel policies and practices, and all legal aspects of union avoidance. He also has developed and regularly conducts employee relations training for supervisors and managers. Among his varied clientele have been media companies (digital and print), petrochemical producers, stevedoring employers, and health care providers.